Tom Cruise posted an eye-opening video explaining that there’s something wrong with modern HD TV sets and encouraging consumers to fix it. 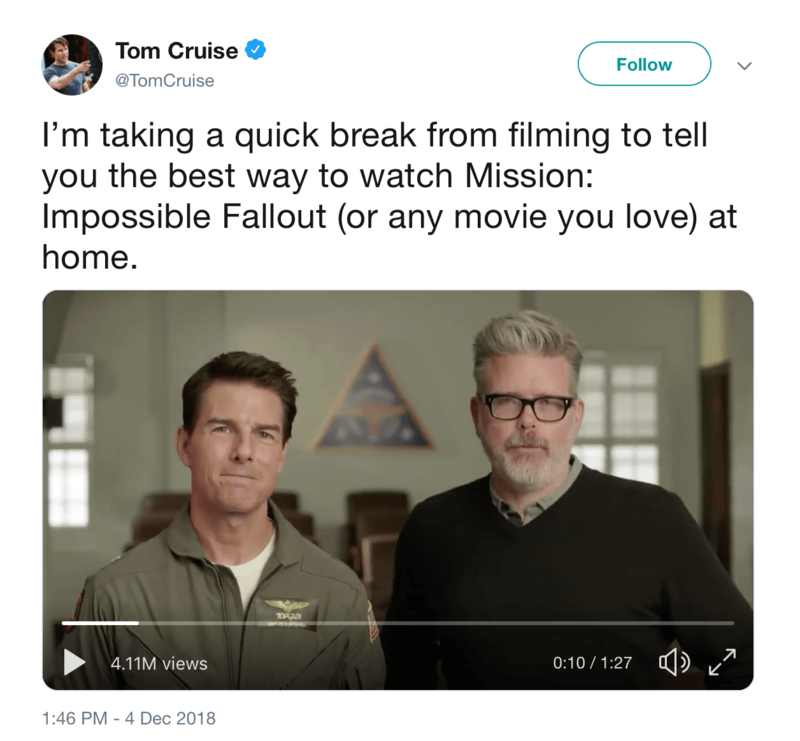 Cruise appears in the video, posted on his Twitter account, along with “Mission: Impossible — Fallout” director Chris McQuarrie. The video discusses motion smoothing, also known as the “soap opera effect,” and explains why consumers should turn it off to improve their viewing of movies. I will never do that I LOVE the soap opera effect! It just looks way better with it on!